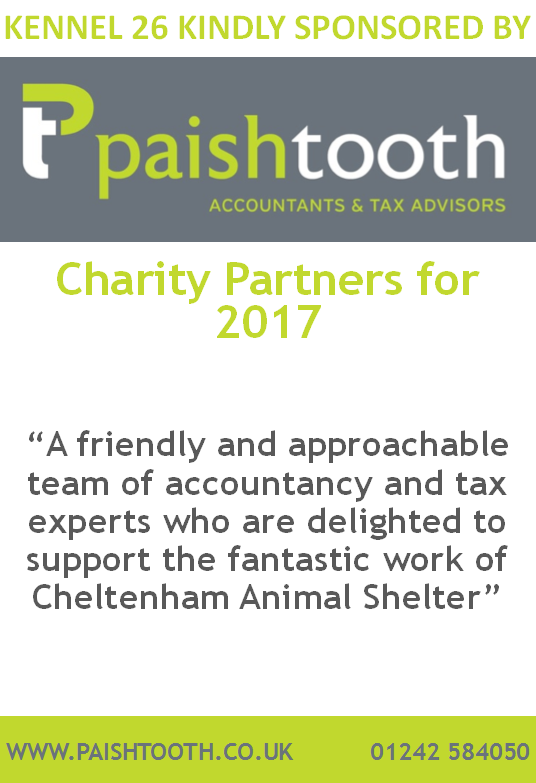 We are delighted to announce that local accountants Paish Tooth have partnered with Cheltenham Animal Shelter for 2017! After volunteering in 2016, the team from Paish Tooth approached the Shelter to see how else they could help. This year they are sponsoring a kennel, will be helping out at our Open Day and Festive Evening and we are planning more volunteering too. There is also talk of an exciting fundraising event in October which we’ll keep you updated on.